Although most of our projects are within the State of Georgia including Chatham County, we also serve the entire South East region including the States of Tennessee and South Carolina. We specialize in Living Roof design and installation, and we are interested in helping others maximize other design practices such as native and edible landscapes, Low Impact Development strategies, parks and recreational design, and historic/cultural landscapes. 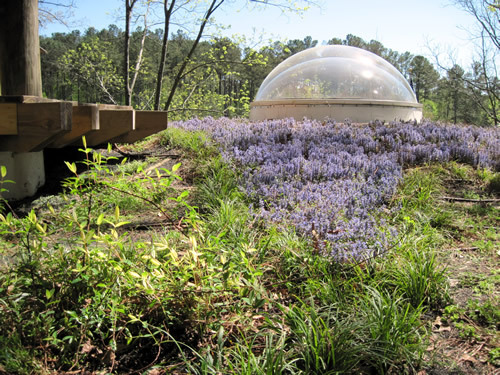 In addition to Chatham County, GA, we serve other cities with landscape design and green roofs: Savannah; Greenville, SC; Augusta; Chattanooga; Atlanta; Anderson, SC, Macon, and Valdosta. Our Design Philosophy: With every new project I see an opportunity to create an environment that people will enjoy and appreciate generation after generation. I believe that successful landscapes must incorporate natural biology and appropriate plant selections for each unique site and project parameters. Every project is different; every site is different, and my goal is to assist my clients in achieving a successful landscape for their developments. As an Accredited Green Roof Professional and Member of Green Roofs for Healthy Cities, I can assist you with your next Living Architecture Project. Call me today to see which Green Roof Product will work best with your Project.